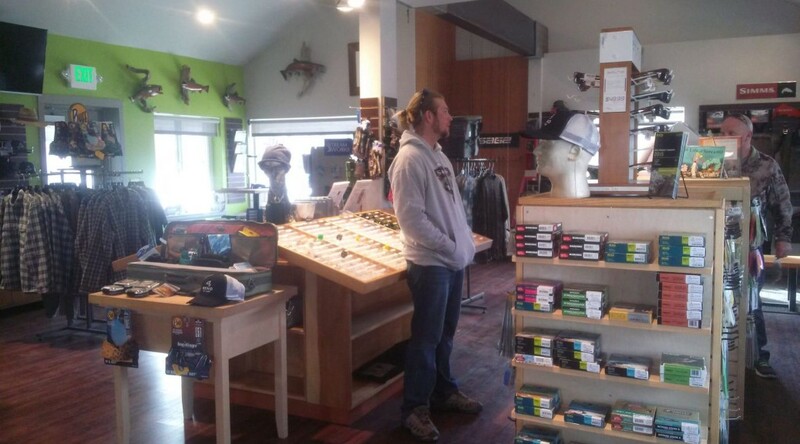 Check out Pyramid Lake Guides own Nick Jackson with host Jim Litchfield for the latest edition of the Reno Fly Shop Podcast. Nick and Jim discuss flies, gear, and techniques effective for landing the big one on Pyramid. 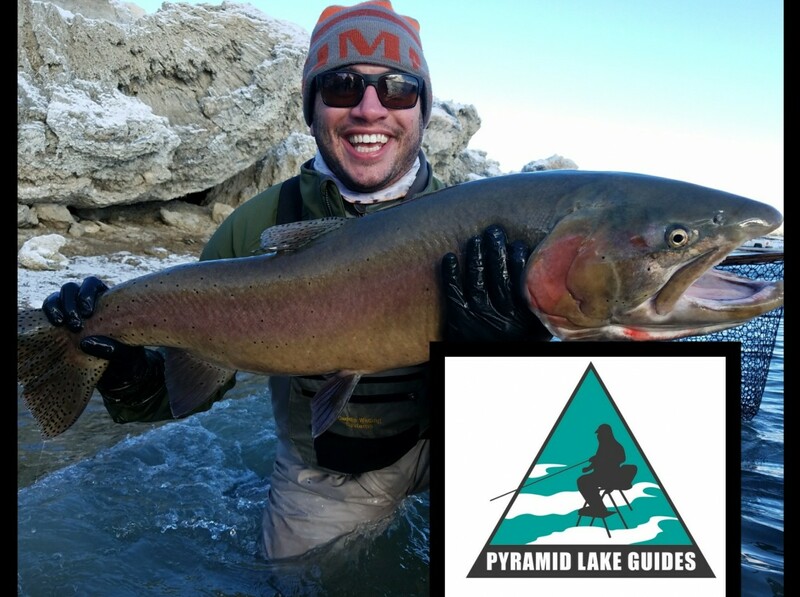 Catch the end for upcoming clinic dates hosted by Nick– great way to learn to fish Pyramid on a budget! Click here for the Podcast, or use the link below. 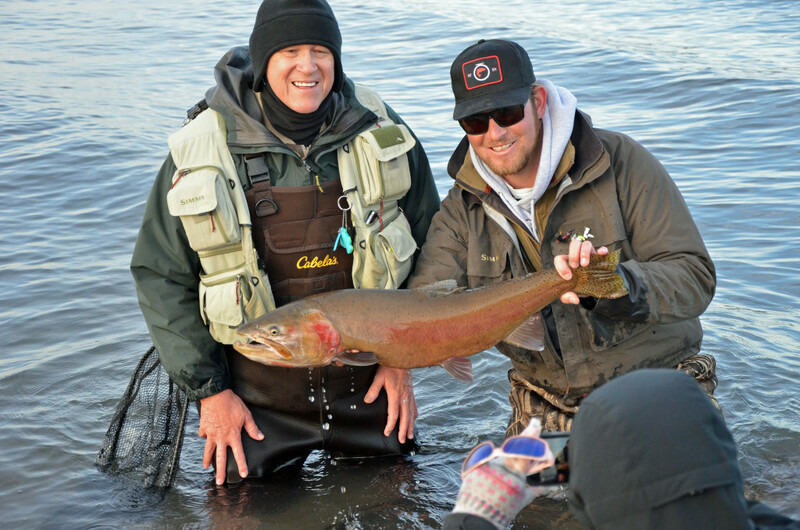 John Preston’s Big Fish on Pyramid Lake, NV. 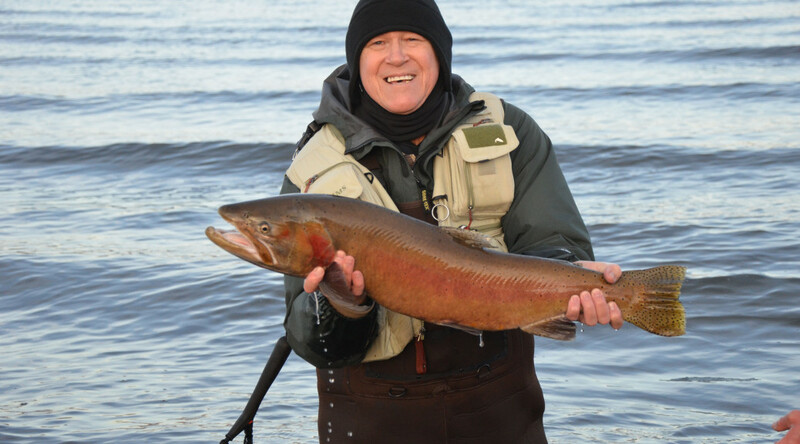 John Preston landed this big Lahontan Cutthroat on Pyramid Lake last Tuesday. Guide Nick Jackson was fishing next to him and helped him get it to the net. Nice job guys!